A child prodigy on the piano, Pierre Salinger grew up to lead a very full life. The product of a French Catholic mother and a Jewish father, Pierre decided early on to pursue a career in journalism. Salinger was an editor for the San Francisco Chronicle at the age of 17, then left a year later to join the Navy. After three years commanding a Pacific submarine chaser, Salinger returned to the Chronicle where he spent the next nine years. Then he was an editor for Collier's magazine for a year, before completely switching tracks to work for the federal government. Beginning in 1957, Salinger spent two years as an investigator for the Senate Select Committee To Investigate Improper Activities in Labor-Management Relations. After that he became an aide to Senator John F. Kennedy, and served as his press officer during the 1960 election campaign. JFK carried Salinger into the White House, where he served as White House Press Secretary until March 1964, three months after the assassination that pushed Lyndon B. Johnson into office. 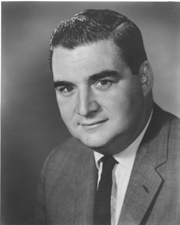 While Salinger was running for a seat in the U.S. Senate in 1964, Senator Clair Engle died and Salinger was appointed in August to fill the remainder of that term. Nevertheless, Salinger lost the election and resigned from the seat on December 31, after only 150 days in office. He immediately returned to journalism, until his retirement in the early '90s. "From the early 1950s until 1983, I had dozens -- no, scores -- of mistresses. While campaigning for United States senator from California in 1964 I made love practically every night with the wife of a famous American actor. While in the White House, on several occasions, President Kennedy encouraged me to take a lover, an obvious sign he also had some himself. In France, a country where the majority of men have mistresses, I happily embraced the French mentality." In November 1996, one of Salinger's contacts in French Intelligence furnished him with a memo alleging that TWA flight 800 had been accidentally shot down by the US Navy. The memo, written by crash investigator and retired United Airlines pilot Richard Russell, is based partly on hearsay he received from a friend involved with the flight 800 investigation. Russell concluded that a Navy Aegis missile inadvertently locked onto the TWA flight during a test exercise. By the time Salinger received what he believed to be a secret report, it had already been circulating on Usenet for more than two months, and had been thoroughly debunked. When a CNN correspondent showed Salinger a copy off the Internet, he replied: "Yes, that's it. That's the document. Where did you get it?" Nevertheless, in March 1997 Salinger proclaimed to Paris reporters: "We have now reached the point where we are totally sure what we are saying is true." During the press conference, Salinger threatened that he would contact the former Soviet Union for satellite surveillance data if the Americans wouldn't quit lying: "We don't want to get the Russians involved, but unless the U.S. government cooperates, we may have to." Needless to say, no further evidence ever surfaced. A few days before the 2000 election, Salinger told the Washington Post: "I don't want any more Bush Presidents. If Bush wins, I'm going to leave the country and spend the rest of my life in France." But unlike the idle threats of a dozen Hollywood stars, Salinger indeed moved to France after the election. There he and fourth wife Poppy ran a bed and breakfast in the south, where he sometimes entertained the guests with his stories and piano playing, until his death in 2004.